If you’re anything like us, you probably reach for jeans five out of seven days of the week. While there’s nothing wrong with relying on that denim staple, we challenge you to swap out your trusty jeans for a skirt this month. Chances are you’ll be pleasantly surprised by how easily a skirt can give your outfit a touch more polish or visual intrigue. To make this wardrobe challenge easy on you, check out 13 outfits that are just waiting to be paired with a stylish skirt. 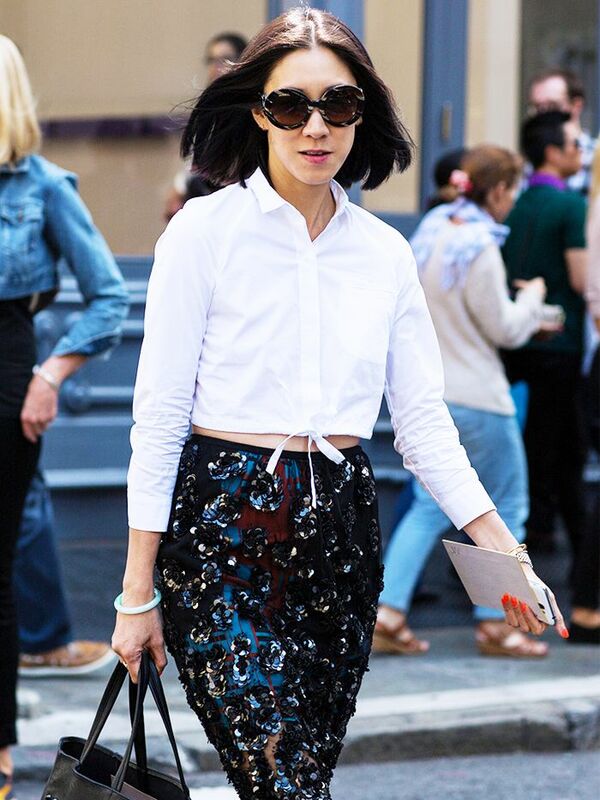 Click through to see how you can incorporate more skirts into your fall wardrobe. Click to see our skirt swap. Do you typically reach for a skirt, or are you a jeans girl? Let us know in the comments below!